Rithy Panh looked at the various gadgets I had placed on the table in front of me and sighed. A tablet device with an audio recording app, and a camcorder with a separate microphone and pocket tripod served as yet another reminder that the clock is ticking in more ways than one for the next generation of young Cambodian filmmakers. The inevitable push towards the digitization of film is why Panh, winner of the Asian Filmmaker of the Year Award at the 2013 Busan International Film Festival, considers the future as equally important as the past. The 49-year-old director co-founded the Bophana Audiovisual Resource Center in Phnom Penh where students – unable to benefit from the lost generation of artists that perished during the Khmer Rouge era – learn about archiving, preservation, filmmaking and other areas. It is an ambitious yet increasingly expensive endeavor, as advancements in digital equipment have not only made education more challenging, but have driven up the costs of film preservation. Meanwhile, this new generation must also learn about its country’s darkest period, a topic that Panh has often explored in his own documentaries. His latest, “The Missing Picture,” is a powerful look at how the institution of memory cannot be underestimated when tragedy strikes. A soothing first-person, French narrative recounts the horror of Panh’s true story as the sole survivor of a large family destroyed by the Khmer Rouge. Juxtaposed against this narrative is real footage shot by the Khmer Rouge in an attempt to depict its agrarian-based Communist utopia as an ideal society. 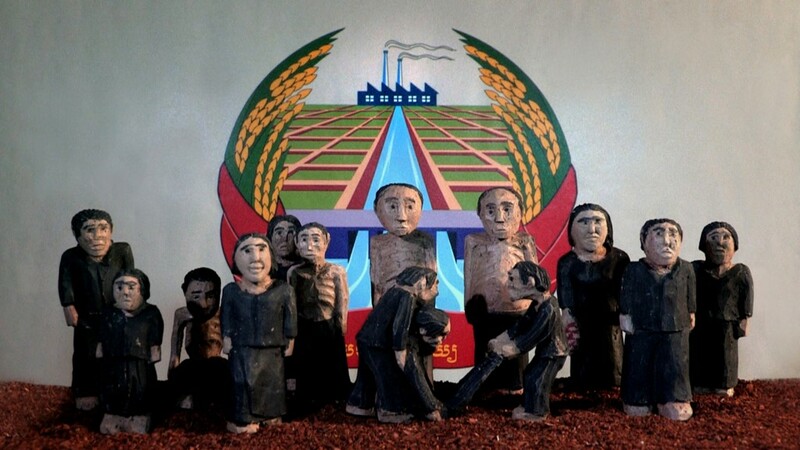 But when this footage – often – fails to support Panh’s recollections of what actually happened, the director turns to elaborately constructed clay figurine sets to build his memories, showing everything from the happy times he shared with his family to the horror that befell his country from 1975 to 1979. “The Missing Picture” won the Un Certain Regard section at the 2013 Cannes Film Festival and has been nominated for Best Foreign Language Film honors at the 2014 Academy Awards. The Oscar nomination is the first ever for a Cambodian filmmaker. Between screenings in Busan, Panh sat down with Meniscus Magazine, primarily to discuss the state of Cambodian cinema and his multifaceted role in mentoring the next generation. Yuan-Kwan Chan: Congratulations on your award and also for the film. I saw it last night and thought it was a very powerful, creative retelling of the Khmer Rouge time period. I have a small question: You showed the picture of Bophana but you didn’t mention her by name in the film. Was that deliberate? Rithy Panh: Yes, but in fact, if you watch my film, all [my other] films also – I put Bophana inside the film somewhere. Some people know who she is. Some people just know her as a victim…I think that one day people will identify her. It is just like un homage, a tribute to her. Yes, just like someone who I travel with. We [have gone on], together, a long journey. Now I’ve discovered her story; I’ve “known” her since 1991. So each time I come back again and it’s just like a sister. The Elizabeth Becker book, right? Yeah, Elizabeth Becker wrote something [about Bophana] in her first book When the War Is Over…she rewrote it again as a short story, a small book. She translated it in Khmer and published it in Cambodia. Bophana’s is the biggest file in S-21: many, many hundreds of pages. When you start to research, you see immediately that her file is the biggest one and people started to study her, like Elizabeth Becker. Last year I had the opportunity to see the documentary “Golden Slumbers” (<<Le Sommeil d’Or>>) by Davy Chou. He mentioned that while he was making the film, he was able to find some old reels that he thought were lost during the time of the Khmer Rouge – unfortunately I can’t remember the directors’ names – so they were able to screen those at Berlin. Since starting the Bophana Center, have you been able to do the same – find old classic films that you thought were destroyed? Bophana has been open since seven years ago. I helped Davy Chou, giving him support and co-producing his film. But I think that in his mind, he would say that his grandfather’s films have disappeared. You know, it’s very psychological. He wanted it to be about his grandfather. Yeah, but he lost everything about his grandfather. He found some bad copies – very, very bad copies, VHS or something like that – but not the 35mm film. Most of the films were destroyed. There are so few, so few. It’s a rare piece, I’d say, and when we find some film we try to restore it digitally. Sometimes directors keep it; they are afraid that it [will be] lost again, so they keep it in their home. But it’s not a good idea because film cannot last for many years if you keep it in bad storage. We regret it. Sometimes directors bring us the print. We try to digitize it. Sometimes they do it themselves. Sometimes they keep it. A lot of films disappeared, except maybe the Prince’s films. Even Sihanouk’s films, he lost seven or eight films also. I think that they were destroyed by the Khmer Rouge. Maybe one day, they will appear again. I don’t know. I wish those filmmakers would let their films be shown rather than keep them in storage. Actually, that was my next question: what has been the most difficult aspect of preserving some of these films? I ask because I was at the Hong Kong Film Archive earlier this year and they showed us Bruce Lee’s “The Way of the Dragon,” and they said, well, we tried to restore it – I think, 10 years ago – and so they showed a clip. They said, ‘Can you guess why we didn’t use it?’ And we realized how expensive it was to restore this. So I was wondering, what efforts do you and your Center take? I think we also have to help to restore our history or identity. A few centuries ago, we did not record our oral history because people did not know how to write. Only a few people knew how to write, how to read. So we have machines to record [now, but] we lost a lot of things. Our society is oral, it’s not like the Chinese where there’s a big, great writer or historian who writes things. In Cambodia, most of the time people tell stories, the children talk, etc. For now, we’ve lost also our [memories] because we are now in the digital era. If you do not have your history in digital format, you cannot access it. You know if you use an iPad, you can immediately have access to your history. You use tape and you get it. But if you don’t digitize your history or your songs or your film, then your children cannot see. Our children cannot see – they receive 100 films a day from everywhere. [Young Cambodians can] just touch their smartphone and they have the film immediately. But what about their own history? That is why we have to set up a policy to restore, to digitize, to record. Last month we just released one CD. We called it Forgotten Songs Vol. 2. We did one before, last year, because it is now the last hour to record these songs. Nobody knows them now. Before when I was young, maybe there were 700 traditional songs. Now if you work hard, you can find maybe 200. [We have] lost a lot, so we have to move. We have to train young people. We have to train them to record, to make film and to put it on free access. Bophana is a place that you can watch these free six days a week. Another great [aspect], but terrible for our future, is the access to memory. When I say access, it means that the material is available, but the material is also classified [as in organized]. Sometimes you have millions and millions and millions of information, but it is tough to classify. Sometimes it is fake, sometimes it is good, sometimes it is bad quality. So the Center tries also to classify information and give people direction: if they want to find something, you can go to this institution in America, you can go in Europe, you can go in Asia, in Hong Kong. That’s why we try to ask people to help us, to provide what they can get about Cambodia – some images, photography, or to give us the digital copy just for non-commercial use to put in the Center. We keep the copyrights for them, and when somebody wants to use something, we can tell them, ‘You can go to this institution to ask them.’ It’s a way to share knowledge, to share access to historic memory. The Khmer Rouge video footage that you used in your film, were there any films that you were not allowed access to at all? No. You know, I started the project seven years ago with a small group of people who helped me, but I did not use it because …[if] I am the first to use it, it is not good [laughs]. So I let people use it before me. Seven years ago, everybody could see and could ask for the copyright to use in their film. But also, I had no idea how to use it. So, seven years, eight years later, I found an idea [for “The Missing Picture”] and I used it. I had the opportunity to visit Phnom Penh for the first time in April, and what I did was walk along the streets of the city centre to look at old theaters like the Capitol and – I can’t pronounce the name – the Hemakcheat. I realized that many of them are no longer being used as theaters. Or if they are, they’re showing Thai horror films. What is the culture of younger people going to the cinema now? I know that there were many cinemas in existence before the Khmer Rouge era. It’s a regret to see that most of the old cinemas are now transformed to karaoke [centers], etc. But, you know, time changes. Even these old cinemas cannot release DCP (Digital Cinema Package) copies now. I personally regret the buildings – maybe, there is some souvenir value. But we try to keep some. There’s one more theater that we would like to keep. It’s Chaktomuk, near the river, [where] we organized the MEMORY! Film Festival. We tried to use it also for performing arts, like dance. We will try to do it the next few years. Now we have chosen it only for our MEMORY! Film Festival. Most of the time the state ran it or it was for conferences, but my dream is to transform it into a Cambodian cultural center, a big center. We’ve worked on it, we started to study the market, we’ve started to train the programmer. But we have to move on also. It’s good to keep some buildings if we can, and the future is to build now. You cannot only provide cinema. There is cinema now in Cambodia – in Phnom Penh, you have at least 15 or 16 screens. But you have no Cambodian films, or very few. I noticed that when I was walking around. Yeah, very few. So you screen ghost films, you screen the big films from Hollywood…We think that we have to create an industry first. You know, a company who provides equipment, provides technicians. We’ve trained for three years now. Four years ago I founded the Cambodia Film Commission. They are here and present in Busan. They have trained, already, more than 120 very good technicians, and we have started to work with a lot of companies from Europe, the USA, Korea. In this way, our technicians can work with all the [foreign] technicians and maybe we can move. At the same time, we try to produce young directors and to support them, like Davy Chou, like Kavich Neang, like Guillaume Suon. Two, Kavich and Guillaume, are here in Busan. Their films traveled a lot to many, many festivals. It’s the first new generation after the war. I belong to the old people [laughs]. They are young, they have a future in front of them and they have a lot of road to travel. But our responsibility is to create a technical environment and an industry environment for them. That’s why we created Bophana, we created the Cambodia Film Commission, and maybe in three, four, five years we can create a school, because you need this if you want to have your cinematography. We talk a lot, maybe, with too much nostalgia about the ‘60s in Cambodia. Some years are very good, but with film, it’s my point of view that it is not a masterpiece, just a rare piece, because I don’t think there is [such a thing as] Cambodian cinematography. It’s like entertainment because it had just started, and then the Khmer Rouge arrived and destroyed everything. We talk about the ‘60s with a lot of nostalgia. We listen today to the music from the ‘60s. People [do not] write good songs now. It’s like you have a big blast in your society, and all the artists are killed: songwriters, screenplay writers, directors, dancers. We lost a full generation. We are the few artists who survived. But I think we are lucky because we saved classical dance, the Royal Ballet. We saved it. It nearly disappeared after the Khmer Rouge. And now of course we think about it with a lot of nostalgia, even the young people listen to the music of the ‘60s. Or rap [laughs]. Yeah, I noticed that when I was over there, that’s the majority of the music. And acting training as well? No, we have started because until now, there was no acting school really for cinema. So we shot [films] in the old style. They did not record the voice; they dubbed it. We introduced direct sound in 1992 but again, you know, we [had to] train recorders. Now we have recorders, so now they start to make films with dialogue. Sometimes it is difficult to change. 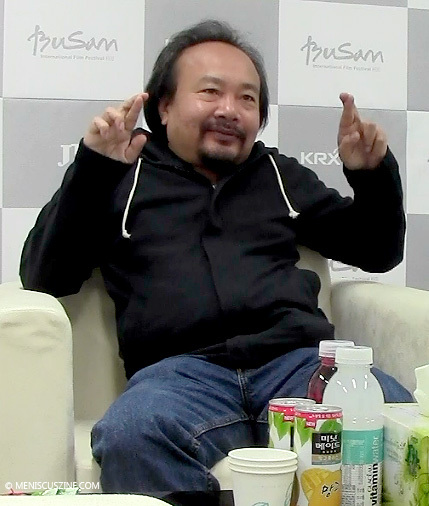 But that’s why I ask people first to make a documentary film because you have to record [laughs]. Then they can move on to fiction films, and they will like to do that. I just asked the Royal University of Fine Arts to create small workshops for actors on how to act in front of the camera. We started it now because we have had a lot of proposals from foreign companies who call to shoot in Cambodia, and we must train our actors to act in front of the camera. It’s not the same technique as if you act on the stage. But there is no acting degree that one can obtain right now, like at university? For plays, yes, but not for cinema. That’s why I want to introduce a small program first in the university for acting for cinema. How many films are made in Cambodia now per year? Last year (2012), good films, not a lot. Maybe two, three? In total, I don’t know, when you have karaoke or something like that. They make a confusion between entertainment and film. Entertainment is entertainment. Film is like writing a book with grammar; you have a little grammar, language for filming. There’s a film co-produced with Singapore which finished shooting a few months ago. You have another company who worked with Australian companies. Two, three every year? You said there is entertainment, and then there is film. What would be classified as entertainment? Music videos? A lot of music videos. A lot of education films sponsored by NGOs. It’s very moral, it’s good for educating people about the place of the minority, the place of women, washing your hands before eating or something like that. These films also did not record live. They dubbed afterward. So maybe now they will start to also work with direct sound. It’s step by step, I think that we will. But our work with the Cambodia Film Commission brings a lot of films to Cambodia. Last year we had more than 100 films shooting in Cambodia: documentary films, fiction films, etc. From all sorts of countries, right? Yeah, compared to many years ago, it’s a big success. If you have an industry, you can train people so they can find jobs. If you have an industry and if you have technicians, directors will come. If you have directors, but you have no technicians or no equipment, it is useless. Are there any issues with censorship? We try to deal with that, but it’s good now. It’s a better situation than Vietnam, or Myanmar, or Laos. China, maybe. It’s just to talk with authorities and explain to them the project. Most of the time they let our film crew work freely. Just explain what you want and…[holds up hands with both sets of fingers crossed]. Until now, it’s okay. It’s our job to convince authorities that now we live in a global world. If people cannot shoot in Cambodia, they will shoot in Malaysia, they will shoot in the Philippines. You cannot stop one artist to express. They can shoot in studios. It’s better to work with them and if they have a wrong point of view, maybe we can discuss, we can advise. An artist is an artist. [Either] you are in the free world and you try to work together, or you close your future like North Korea. The 86th Academy Awards ceremony takes place Mar. 2, when “The Missing Picture” competes against films from Belgium, Palestine, Italy and Denmark for the Best Foreign Language Film Award. The second edition of the MEMORY! International Film Heritage Festival is scheduled from May 31 to June 8; for more information, go to http://memoryfilmfestival.org/. Finally, to learn more about the Bophana Audiovisual Resource Center, go to http://www.bophana.org/site/index.php.